Did you buy one of the 9 million vinyl records sold in the U.S. last year? If you’re among the many people who have rediscovered (or, for younger listeners, discovered) the magic of old-school albums, you may be interested in starting a collection. 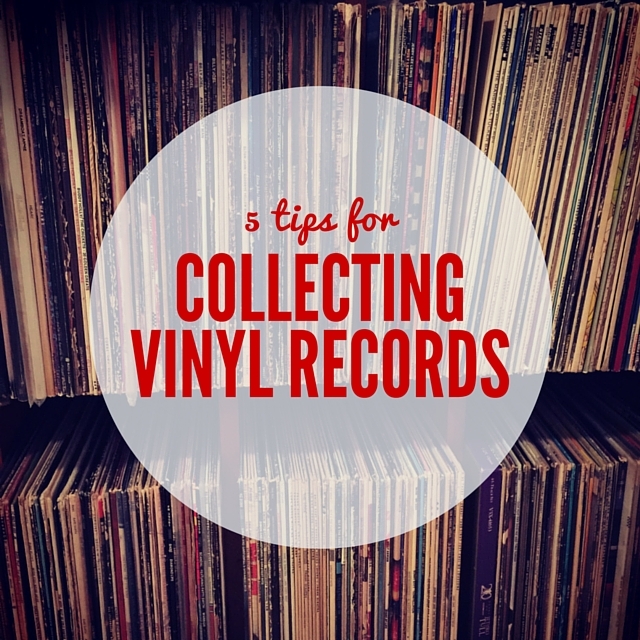 Before you buy, however, read these five tips for collecting vinyl records so you can avoid some mistakes we made while amassing our collection of nearly 2,000 LPs. Start cheap: Shop thrift shops, hit garage sales, or visit estate sales. Mixed in with all the musical soundtracks and Perry Como records, you’ll likely find great foundation albums (the basics that everyone should own) in good shape for $1 or less. This is how I amassed more than half of my records, including pristine copies from crooners like Frank Sinatra and cowboys like Waylon Jennings. No, you probably won’t nab Miles Davis’ “Kind of Blue” or anything from The Beatles, but it’s a great way to get started without spending a fortune. It also gives you time to be certain you want to advance to spending big dollars on growing a collection. Buyer beware is never more apropos than with vinyl. Unless you’re purchasing a brand-new, still-sealed record from a brick-and-mortar shop or online store that allows returns, there are no guarantees. I’ve made this mistake more times than I care to admit, ending up with an empty jacket, the wrong LP inside the jacket, missing albums in multi-disc sets, and records scratched to bits. Look over your pick before buying. If you’re shopping eBay, check the seller’s history, reviews, and return policies to decide whether it’s worth the risk. Stick to originals: Whenever possible, choose original pressings of old albums over reissues. Why? Newer recordings are often made from the most recent version of the album because the record label may no longer own the original analog master. This only matters, though, if you’re into vinyl for the sound quality (reissues are basically just CDs on vinyl and lose much of the warm sound of the original). Cover the classics: Not sure where to start? I recommend reading Rolling Stone’s picks for the 500 greatest albums of all time. We’ve been slowly chipping away at this list, starting with those $1 finds and then adding on with pricier purchases at record shops. I carry this list with me when we shop so we know where to start our search through the seemingly endless bins of possibilities. You just can’t go wrong adding the Bobs (Dylan or Marley), the Boss, the Beatles, or any of the others on this list to your collection. Not all will be easy to find, but it makes for a great wish list. Collect what you love: Most of all, buy what makes you happy. If (like me) you love the Muppets and hate the Doors, more power to you. It’s your collection. Choose albums that you’ll play and treasure. Just because a certain jazz record is highly collectible doesn’t you’ll actually listen to it. That’s a waste. Your vinyl collection is a reflection of you, so populate it with albums that tell your story. I should probably, at some point, buy a record player for my albums. Any tips? Missi, definitely time to get a record player! I highly recommend Crosley’s portable turntables … they are inexpensive, all-in-one, and you can take them with you if you ever want music at a picnic or a friend’s house. (I don’t get paid for my endorsement, I just really like them). If you want something more powerful to hook into a speaker system, I’d visit a record store or full-service entertainment installment shop for advice. Crosley turntables are garbage and will ruin records. If you’re just playing $1 bin albums, it’s probably fine. But playing a brand new $20+ record on a Crosley will drastically shorten the life of the record. Thanks for commenting. I appreciate you sharing your knowledge. Wow! I had no idea there were that many new records out there. Interesting article. Nice job, Becky. So much mixed advice. Wow. First of all, Crosley players DESTROY RECORDS. Period. There are LOTS of great used options on eBay, craigslist, etc., and plenty of new tables less expensive than a typical Crosley that use real styli, cartridges, tonearms, and even built-in phono preamps, so they’re plug n play ready for use with any system a music lover is likely to already own. And waylaying all vinyl reissues isn’t just mindless and terrible advice, it’s dangerous to the market. Very few reissues these days are what you claim; the market is working it out where major labels are realizing it’s less cost effective to pander to hipsters with inferior product than to license rights to any of a growing number of labels making reissues that are the best pressings of a given title available. Don’t tell people to look for original pressings that were made with inferior equipment at a time it was all about large numbers and not about the sound! Thanks, Robert. I appreciate your input. I’m glad to hear the advice I received about re-issues is no longer accurate. The Crosley turntables are for children, whose kiddie records are expected to be destroyed. They should never be used for records you want to keep long-term. The Audio-Technica LP120 is an excellent starter turntable, with a bonus: as your tastes and expertise improve, the crappy built-in phono preamp/USB circuitry can be removed and the tonearm wires soldered directly to added RCA jacks and a ground lug (instructions are on YouTube, and it’s easy to do). This opens up the sound quite a bit and keeps your vinyl in great shape. Thanks for sharing. I appreciate your advice and hope others learn from it too. Love my LP60, use it almost daily. I’m another one who is going to tell you that Crosley turntables are absolute garbage. They’re not even as good as what Yugos were to automobiles. At an absolute minimum, there is a company called U-Turn which makes a turntable called the Orbit. They’re made in Woburn, MA, and can be customized and upgraded. They start at $179. They sound pretty good, excellent for the money, and will treat your records well, so when you play them over and over, they won’t be treated like a screwdriver scraped across porcelain. At its best, music reproduction on vinyl can sound extraordinary, better than any current digital playback medium. The better your turntable and cartridge (as well as the rest of your system), the more extraordinary it will sound. There ARE record companies early on who really knew what they were doing (Capitol in the 1950s, Columbia in the ’50s and ’60s, RCA and Mercury in the ’50s and ’60s). Those early albums can sound wonderful IF you can find copies that haven’t been beaten up (used as cheeseboards). It IS fun to scour used record stores and yard sales. You might find something cool for little money. But NONE of the records will sound good if you get a crappy turntable on which to play them, and Crosley is in the crappy category. Keep in mind, that buying a turntable requires something extra — a phono preamplifier. A receiver or integrated amplifier may have one built in, or you may need to buy an exterior one. The signal generated by the stylus and cartridge is SO small, you need an amplifier designed for amplifying that signal to an amplifier (actually the main preamplifier in the amplifier — gets complicated, but an integrated amp or receiver has a built-in preamp which has the volume control in it, and then the amplifier part which actually sends out the signal to the speakers). $100 or so will get you a decent enough phono preamp. So you could spend $300 — $200 on the table and basic cartridge, and $100 on the phono preamp, and you’ll have a front end (source, that is) that sounds much better than CDs in terms of enjoyment/musicality. Thanks, Jeff, for the really thoughtful reply. I hope it helps people make a good decision! And I almost forgot, the high end reissues are going for about $30-35 per record. Some of the best companies are even reissuing the records at 45rpm, and I mean 12″ discs at 45rpm. The sound is even better, generally speaking, but it means hopping up and down to change the record more often. You generally get about 10 – 12 minutes per side. These records go for between $40-60 each. For example, Analogue Productions, a terrific reissue company, has recently put out an apparently terrific sounding reissue of Cat Steven’s “Tea For The Tillerman” on 2-45rpm 12″ discs for $60. The same company is reissuing some classic RCA classical albums on single discs cut at 33 1/3 for $30 each and the ones I have are really, really good. And if anyone is interested in Nat King Cole? Analogue Productions put out stunning reissues of his classic Capitol Records albums. They were originally recorded beautifully. The originals sound good. But Analogue Productions went not from the original master tapes, but from the original 3-track session tapes, recorded with an orchestra live in stereo. The mastering engineers live-mixed the 3-track tapes into the amplifiers which cut the lacquers, essentially bypassing a whole layer, and cutting these at 45pm. If the mastering engineer had made a mistake, they would have had to start over with new lacquers. The results are jaw-dropping. $50 per. Who buys these? Fans of music who like to sit down in front of the loudspeakers and really get emotionally involved with the performance. If you’re someone who just listens to music in the background? Well, vinyl is more of a pain in the rear end to take care of, and you generally don’t get more than 25 minutes per side, whereas a CD you can get up to 75 minutes, and digital downloads, well, more (and less, if you know what I mean). But you want to hear Jimmy Page lean into a note or line in a Led Zeppelin song, or feel John Bonham’s drum impact hit you in the gut? You want to BE there in the 30th Street studio when he recorded Kind Of Blue, where you can hear the ambient sound of the room? Are you a fan of classic jazz? A company called Music Matters, started by a couple of long time jazz fans and lovers of vinyl reproduction, have put out a series of Blue Note records at 33 and at 45. Some titles overlap. They go for $35 and $50 respectively. They are outrageously good, going to the original master tapes. They even went to the expense of creating art-lover worthy quality of gatefold jackets, with classic Frances Wolff photographs inside the gateful. The whole package, including the pressing to vinyl, is stunning and worth every penny. Want to save some money? Blue Note, themselves, put out LPs cut from digital masters for Blue Notes’ 75th anniversary. A good way to get a taste of the albums, but not close to the quality of what Music Matters has put out, in terms of the sound as well as the album cover graphic and paper quality. These are VERY limited edition as well. The 45s were put out in editions of only 1000 each. The 33s only 2500 each. These are the kinds of records, if well cared for, go up in value over time when they go out of print, as collectors of certain kinds of records (such as Blue Note jazz) want the absolutely best way to hear these musicians, many of whom sound like they’re in your listening room when played back on good equipment via these discs. A company called ORG (Original Records Group) will be releasing Shawn Colvin’s A Few Small Repairs on vinyl in October. They’re known for their high quality products. It will be on a single disc and will retail for $35. I will be waiting for a review before I likely take the plunge, but I anticipate buying it. Obviously, the better your analog and system is, the more you’ll be able to hear what is on these wonderful records. At least with the Orbit table, it will take care of your discs and give you a place to start. A better cartridge will mine more of what’s on the record. So will a better tonearm. Everything is about better precision, as it’s a mechanical proposition. And be forewarned, some of these reissues are so dynamic, they’re made with the audiophile in mind, that is, they’re assuming that you have a better turntable and cartridge capable of wiggling around the groove freely enough to follow the dynamics. If your cartridge/stylus isn’t up to it, or isn’t adjusted well enough, it will jump out of the groove. Certainly the Crosleys aren’t even in the conversation. Fremer even has a couple of DVDs out on how to set up and maintain your turntable, as well as how to keep your records clean. I love how people scoff at the thought of people still buying and playing vinyl but if they heard the sound quality it would totally make sense. I love your tip on reading Rolling Stone’s picks for the 500 greatest albums of all time for ideas of where to start! 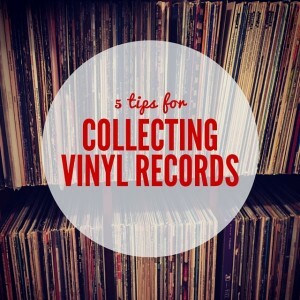 I’ve been wanting to collect vinyl records for a couple of years now, but haven’t really known what to look for. Having a list to refer to would make it much easier to feel confident that what I am purchasing will be something worth having! It’s a great starting point! Have fun buying. It’s a great hobby.